Search engines operate at lightening fast speeds digging throughout the Internet to find results for specific queries. Through the years there has been debate about search engines and how results are displayed. 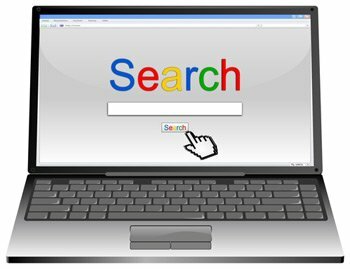 Much of that is about to change in 2012 when Google rolls out a new way of displaying search engine results, which will provide much more direct information than the list of web site links as all display today. When given specific instructions, such as search for everything about a name such as famous designer Tommy Hilfiger, much more is going to show in the results window than Mr. Hilfiger’s web site. Retailers which sell his wares will show up, too, along with listings in Wikipedia about Mr. Hilfiger, a Facebook link, a Twitter link, and even a listing from IMDb.com, the Internet movie database site, because he was a producer of the movie Zoolander. In short, search engines turn up nearly everything, and attempt to place the results in some sort of order. Search Engine Optimization – commonly known and SEO – helps guide that process, and produce results that may be different from what searchers expect. SEO campaigns guide search engines to produce desired results in a certain way, with targeted results showing up higher on the list of results. This is accomplished through two ways; the insertion of key words into the hidden mechanics of web site, and what written copy is displayed on the web site itself which also act as key words. As a result, an independent blog, which features a brief story about the latest Tommy Hilfiger pair of men’s shorts available may end up towards the top of a search list if the blogger hit certain special words in his commentary, and then entered other key words into the mechanics of his posting. This triggers the search engines to grab the site and display it to the person making the query. The Internet has been round long enough for studies to be completed which demonstrate how search engine results are accepted and acted upon. The higher to results are displayed in a given list of results, the more people act on those results, clicking through to the web site. Search engines can be influenced by professional practitioners of search engine optimization. Not using SEO practices can often result in web site being virtually ignored simply because no one knows the web site exists.